This high quality Coronet Engraved Prince of Wales Mens Spur is on sale now. These Beautiful Coronet Engraved Prince of Wales Mens Spurs are constructed with Coronet Stainless Steel are 3/4'' and 20mm. 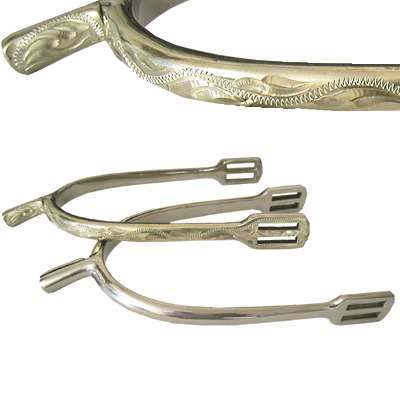 Take a look at these Coronet Engraved Prince of Wales Mens Spurs that we have in stock.